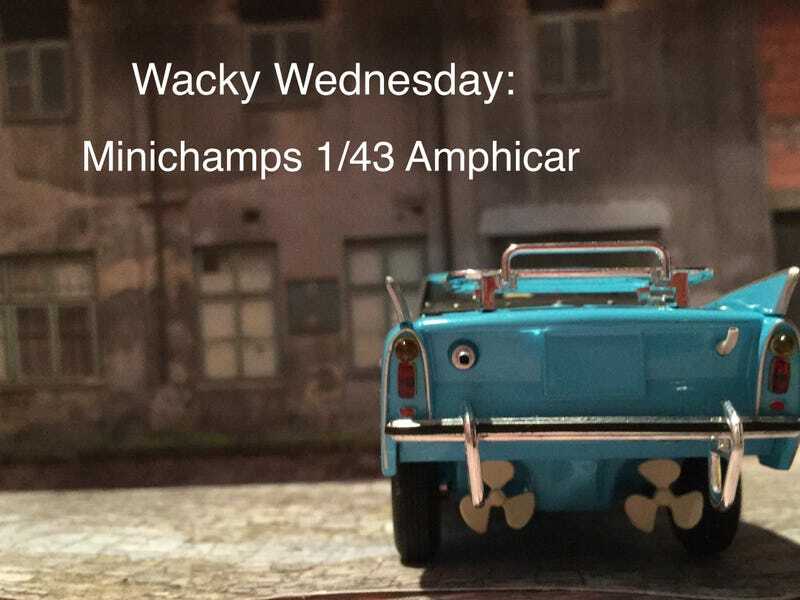 LaLD Car Week-Wacky Wednesday: it's an Amphicar, Bro! The Amphicar name is a portmanteau of “amphibious” and “car”.Overall this is one of the best models I have. It is my one and only Minichamps I have, but it was definitely worthy the $58.00 price tag. This is the only one 1/43 version of this car I have ever seen (besides the 3 hotwheels versions I have and the two 1:1 versions I’ve seen). The only thing I don’t like is that the propeller was put on crooked and when I tried to correct it, it broke so I had to glue it. I recommend this model to anyone who likes Amphicars, amphibious vehicles, or just anything plain wacky. I hope you like it!